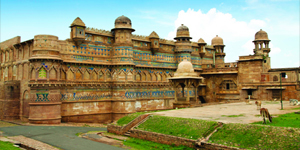 Gwalior in the state of Madhya Pradesh is known for its royal lineage. Gwalior has the perfect blending of the tradition and modernity. It is one of the most developed cities of India with many renowned educational institutions and industries like cotton, ceramics and chemicals. Orchha travel offers detailed information on the important tourist destinations, dinning and accommodation facilities and means of transportation of the town. Orchha is a small town in the Tikamgarh district of Madhya Pradesh, which is situated at a distance of 120 kilometers from Gwalior and 178 kilometers from Khajuraho. The best time to visit Orchha is between October and March. 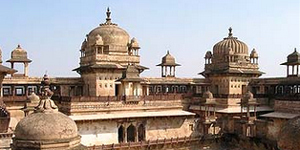 Orchha was founded in 16th century by Rudra Pratap, a Bundela chieftain. The rich historical legacy of the town is preserved in the beautiful stone sculptors and the ancient forts and buildings of the town. A travel to Khajuraho, in Madhya Pradesh would take you to the land where eroticism meets religion. Built between 950 and 1050 AD, by the Chandela kings, Khajuraho remained forgotten for long. Only in 1838 a young British officer, while passing by the place, heard about the temples from the locals and could not resist the temptation to visit the site. Since then Khajuraho has continued to lure the travelers across the world.